Good news! A date has been secured for the fourth and final event in the 2015 Beat the Clock TT Series! Changes to the NCNCA racing schedule made it necessary for us to postpone the TT event scheduled for July 11. It will now be held on Saturday, September 5 – just in time for those wanting to tune up their TT engines before the USAC Masters National Championships. Registration is now open. Click HERE to sign up. UPDATED: Proceeds from this event will go to support Ed & Kim Perez as Ed is battles pancreatic cancer. Kim is a long-time PV member and generously volunteered her time to help with Beat the Clock for many years, so please help them out if you can. The third event of the Beat the Clock TT series will take place on Saturday, May 23, 2015. 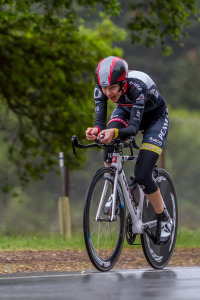 These events provide the opportunity for everyone from beginning cyclists to time trial specialists to test themselves against the clock on a 10-mile course with excellent pavement. Proceeds from the series support Bicycle Sundays on Canada Rd. For more information on the Beat the Clock series – click HERE. Registration is now CLOSED – click HERE for start list. To see a short video from the last Beat the Clock event – click HERE. The second Beat the Clock Time Trial of this season will take place on Saturday, April 25, 2015. PV is pleased to be continuing this popular training TT series – proceeds support Canada Road Bicycle Sundays. Registration on bikereg.com is now open – registration deadline is Wednesday, April 22. For more details on the Beat the Clock TT Series click HERE. Enjoy video shot at the first Beat the Clock TT – click HERE. PV to keep Beat the Clock going! Posted in events | Comments Off on PV to keep Beat the Clock going! Big News! PV has stepped in to continue the popular Beat the Clock TT series in 2015. First of all, we would like to recognize Patt Baenen-Tapscott, Carola Berger and the entire BtC staff for establishing a great event series and keeping it going for 10 years. It has been really nice to have a time trial series right here in our backyard with the proceeds going to a great cause. PV Rider Yvonne Walbroehl tackles the BtC course. Going forward, proceeds from Beat the Clock will go to support Bicycle Sundays on Canada Road. For details on the 2015 Beat the Clock Series click HERE. To register for the first event (Feb 14), click HERE. The San Bruno Hill Climb is ON! 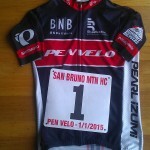 Posted in events, racing | Comments Off on The San Bruno Hill Climb is ON! Time to start training your climbing legs – the San Bruno Hill Climb is ON for Jan 1, 2015! Registration is now OPEN! Click HERE for more details. Burlingame Criterium – another success! Posted in events | Comments Off on Burlingame Criterium – another success! Thanks to all of the volunteers and racers that made the 2014 Parnassus Investments Burlingame Criterium and Ryan’s Ride a success! We couldn’t have done it without you. Congratulations also to all of our podium finishers! Click HERE to view the official results on usacycling.org. Click HERE to see photographs of the event on ncnca.org. Pen Velo is proud to be presenting the Parnassus Investments Burlingame Criterium on June 22, 2014. COURSE: We will be using the course that was introduced in 2013. The course is just over 1km in length, starting in front of the Burlingame Library. It is a technical course that includes a U-turn on Chapin Ave., a chicane onto Donnelly Ave. and several 90 degree turns. Click HERE to view the course map. RACE FLYER: Click HERE to view the official race flyer with full details on field offerings, race times, etc. REGISTRATION: Online registration is open until 9pm on June 20. Click HERE to register online. In addition to the great racing throughout the day, we will also be hosting the 11th annual Ryan’s Ride. Kids ages 12 and under will take to the race course for an opportunity to ride across the finish line in front of the cheering crowds. All kids get medals, a goody bag and ICE CREAM. Proceeds benefit local cancer charities through the Livestrong Foundation. Thanks to all the volunteers and racers for making the 2014 edition of the San Bruno Mountain Hillclimb a success! Click HERE to view results. Congratulations to all who participated!